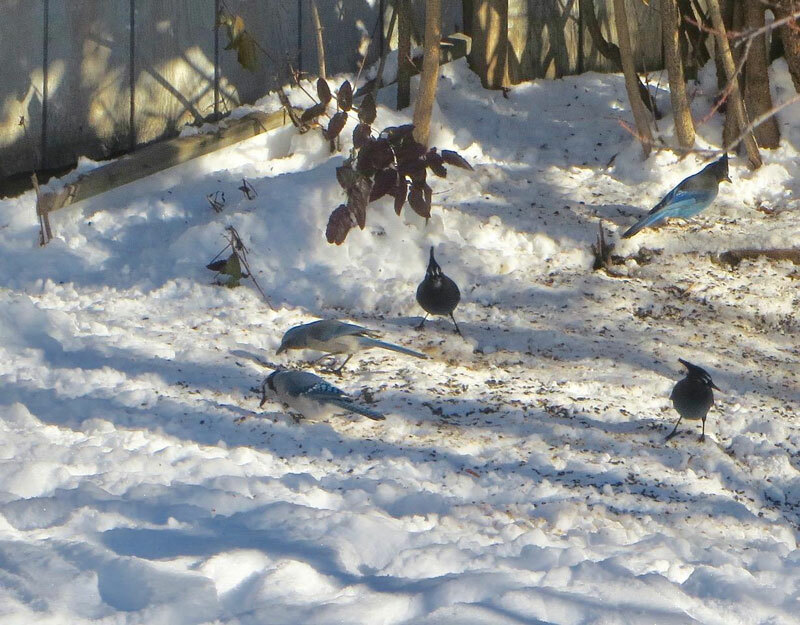 A Jay from the East, a Jay from the West and a Jay from the Mountains meet in Bill Pier's backyard for a very unusual photo opp. The Pinyon Jay declined an invite, standing with the Piñon-juniper coalition in protest of the habitat chosen and the Gray Jay was banned because of terrorist activities -- constantly robbing innocent campers of their sustenance. This may be a historic picture for Utah! 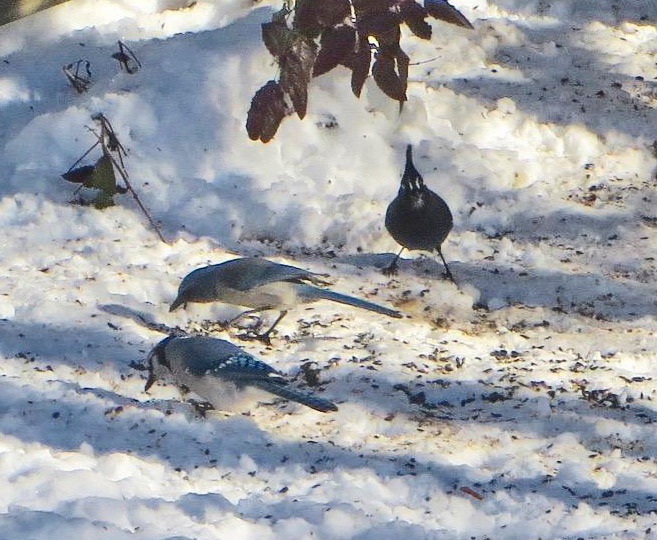 Original photo of three species of jays at backyard feeders.